This card was sent to me from Victoria BC from one of the most reliable readers of this blog. I also received today in the mail from her a couple of blank cards that she’s had for over twenty years to include in the project. Can’t wait to send them out! Thank you Julie. The fragrance of the roses drifts over the gardens. 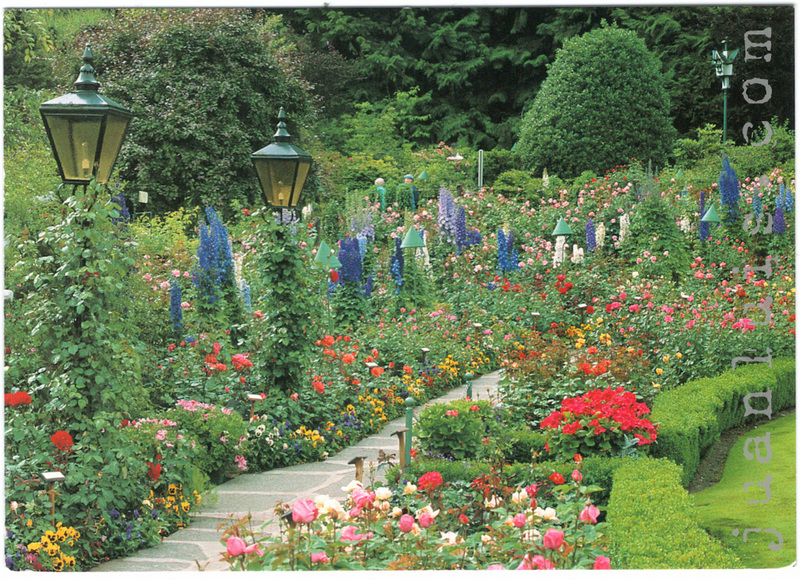 It is the one part of the Gardens where the plants are named, because visitors like to see where the roses originate, and the year they were first displayed.